Torino manager Sinisa Mihajlovic has been critical of the high fees being paid for players in the transfer market, and dismissed suggestions that his star striker is worth the touted £75 million. Sinisa Mihajlovic is not a big fan of the exorbitant fees being paid for players these days, and according to him, all the players are overvalued, and certainly not worth the high prices that are being quoted. 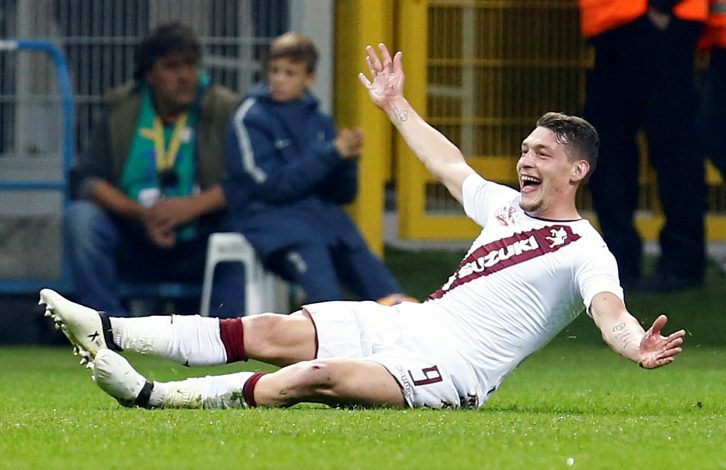 The manager even dismissed suggestions that his striker Andrea Belotti is worth the huge amount of money that clubs are willing to pay. Manchester United are the club that are linked with the player, and it is not inconceivable that they would pay the quoted price, having already paid similarly huge amounts for Anthony Martial and Paul Pogba. Mihajlovic also suggested that if the players were indeed as valuable, then they would be scoring 4 goals per game and winning games all on their own. The form of Martial and Pogba makes the point the Torino manager is making, with neither player living up to their price tags this season. Mihajlovic was so incessant about the money being bandied about that he felt even he would have been worth a €100 million if he were playing now. “If I played these days rather than 20 years ago, I would also have been valued at €100m for my characteristics,” he said. But it isn’t like the manager would not accept such a bid if it were indeed placed for the player.